Don’t miss the comp closing dates! Just a reminder—i f you want to enter our design-a-cover competition, entries close on 16 September 2010. The winner will see their artwork on the cover of our summer competition (out in November) and receive $20 worth of art supplies. You can find details and an entry form on the Alphabet Soup website. 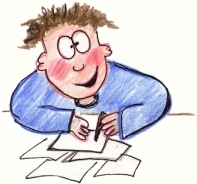 And if writing is more your thing, don’t forget we run a writing competition for kids in every issue of the magazine. Our spring story competition closes on 22 October 2010. There are $20 book vouchers for the winners in three age categories. You’ll find details and an entry form over at the Alphabet Soup website for that, too.